Here are few excerpts from the interview with our Judge Joonie Tan, one of the most versatile and dynamic cake artist of India. 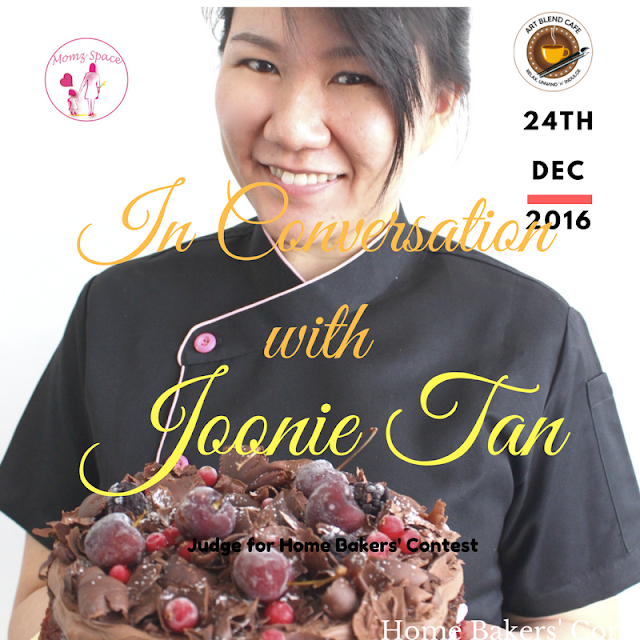 Hi Joonie, it is our pleasure to invite you for judging the Home Baker’s Contest at Art Blend Cafe in collaboration with Momzspace. Who could have been more apt than such a prolific, dynamic and talented cake artist than yourself? It is always great to see your art, and your dedication towards your profession at such a young age. You are truly an inspiration to budding cake artists in the country. So, our readers would love to know, what was your inspiration or motivation to choose this field? I’ve always love baking since Im very young ( 4-5 years old ), deeply influenced by my aunt whos a great baker ! At the same time I love art and have been always in the creative field even during school time ! Combining both of my interest, Im very happy with what I am doing currently. That was really an interesting start you had. So, how was your journey till date and your stay in Bengaluru? Its pretty challenging to be a cake artist in India especially Im not local. During the first year of my journey here, its all about understanding and finding out the preference and taste and what the local like. The culture infleunce the order pattern as well. Its been 5 years and I must say Im pretty much “localized”. Loved the warmth from people / clients and INTERESTING ! That’s good to know. Can you tell our readers about the common challenges in the industry, and how to overcome them? There are lot of challenges in this industry and mostly has been overcome along the time with more exposure and knowledge about baking and confectionery. The only challenges I feel that we still need to work on is the pricing of products that we created. A lot of time its either new bakers under-priced / client do not have the understanding on why a product is priced that way ( mostly comments about customised cake being expensive ). Educating the clients and new bakers in the industry is still something that we need to continue to work on. Theres a saying, “ Good cakes arent cheap, cheap cakes arent good” is very true and a philosophy I always stand by and tell my students / clients. That was useful information. So, you have been doing this for years now, and you are an expert at wedding cakes, you have baking courses at Lavonne and also India’s first cake decoration magazine. 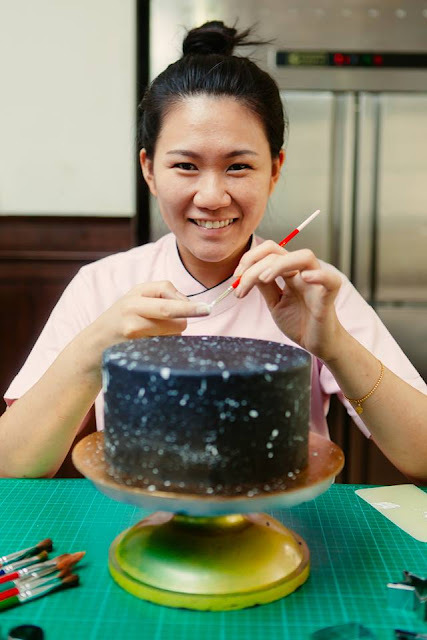 So, what according to you is the toughest or the most critical part in the end to end process of baking a cake and decorating it as the final product? Creativity / Innovative design – that says it all ! I love working with gold colours ! It just add so much drama and attention to the overall design ! What do you love doing the most, when you are not baking or taking classes? As you know that we are organizing this contest to motivate home bakers to showcase their talent, so what are the 3 things that you will look for, while judging a participant. As you know the contest will have three categories, where the participants will be assessed – Base Baking, Designer Cakes and Savouries and Snacks. So, what will be the basic 2/3 judging criteria in each of these categories? As most of the participants are home bakers, do you recommend any online tutorials or goodreads before they start the contest. A trial run will be very helpful before the big day ! Finally, can you list down 2 or 3 tips for our readers as well as the participants for baking and decoration? So are you all home bakers geared up, what are you waiting for ? Hurry Register now!